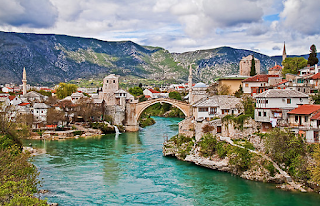 The main subject of the class in online English school engoo.com was the country Bosnia and Herzegovina. Teacher Miroslava told me about the country where she lives. 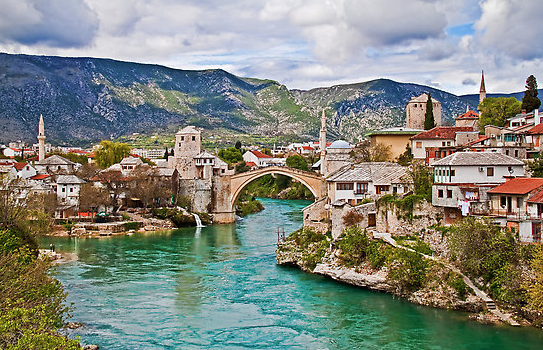 Bosnia and Herzegovina is a small country which was formed on the part of the territory of former Yugoslavia. The capital city, Sarajevo, is a place where the World War started. In fact, Sarajevo has a lot of historical places. Sarajevo is surrounded by mountains, hiking is a very popular sports activity there. Unemployment - it is a very difficult to find a job there especially in the countryside. Elementary education is free, the cost of high education is very low. The year's tuition of studying in university is about 25 euro. Medicine is not free. Bosnia and Herzegovina has a very small lot on the Mediterranean Sea. Neum is the only town to be situated along Bosnia and Herzegovina's 20 km (12 mi) of coastline, making it the country's only access to the Adriatic Sea. This place has a very good potential for developing as a beach's place due to the cheapest cost of living. I remembered this fact in the case of the future vacation.